For comprehensive residential roof repair services in the Sunset Hills, Missouri area, turn to Daech & Bauer Roofing. 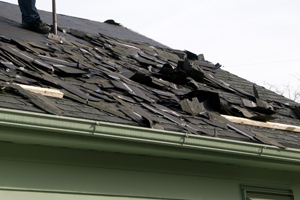 Whether you have a minor leak or need a major repair following severe weather, we will make sure that your roof is returned to optimal condition. At Daech & Bauer Roofing, we go above and beyond what many of the other roofing companies in the area provide. We stand by our prices and will match any competitor that offers the same products and services for less, and we back our installations and repairs with a five-year labor warranty. We also assist our customers who have suffered storm damage with the insurance claim process to make sure they receive the compensation they deserve. Additionally, we are proud to be an Owens Corning™ Preferred Contractor, and we offer a complete roofing system that follows Owens Corning guidelines. This includes installing a waterproof barrier to prevent rot and mold growth, making sure the vulnerable areas of the roof are well protected, and providing proper ventilation in the attic to prevent heat and moisture buildup that can cause roof deterioration. Contact Daech & Bauer Roofing today and let us demonstrate why we are the preferred residential roof repair contractor in the Sunset Hills, MO area. Be sure to ask about the financing plans with low monthly payments that we offer for those who qualify.